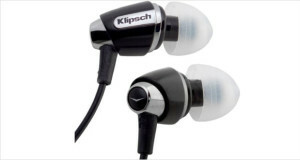 As far as American audio companies go, Klipsch is one of the older ones that have been around since forever (almost!). Since 1946, the company has been “Keepers of the Sound”, as their slogan goes. They are a very prominent loudspeaker company that has seen a lot of ups and downs. However, for such a dynamic company, their first product ever manufactured in 1946 is still being produced today – one of the longest runs for any speaker set. The Klipschorn has been around since its inception with only minor changes around to its driver system (it has a separate tweeter, squawker and woofer to deliver precise and loud sound. The company has always been a proponent of horn-loaded speaker systems. Simply put, most of their speakers have a horn outside the driver to divulge away the sound – like many vintage speakers and PA systems that you might see. This is because they are generally very power efficient – requiring less power to drive the internal mechanisms and generating voluminous sound – low on distortion, very wide dynamic range and flat frequency response so only the most neutral and loud sounds will be produced. Their headphones are known to be low on distortion and surgically precise with the sounds. 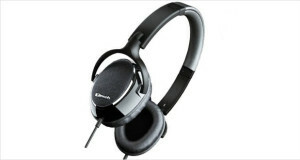 The Image series of headphones is also quite well balanced in the price/performance ratio. Paul W. Klipsch, a relentless perfectionist with a very strong research background, started Klipsch Audio Technologies in 1946, one year after patenting the iconic Klipschorn speakers that spearheaded the Hi-Fi movement that spurred researchers and audiophiles to achieve perfect sound reproduction in all kinds of music. Klipsch had long understood the benefits of horns – their high efficiency and low distortion made them ideal for home speakers. However, the horn speakers of that time used in cinema theatres and such were over nine feet long and were impractical for home use. Thus the Klipschorn was born – a horn design that folded back on itself and used the corners of the room as extension of the horn. This became the primary driver of all of Klipsch’s designs – horn loaded speakers that were compact but did not compromise on sound quality. In 1986 Fred S. Klipsch, a cousin of Paul, took over the company and slowly started making it into the globally identifiable loudspeaker and headphone maker that we know of and love. 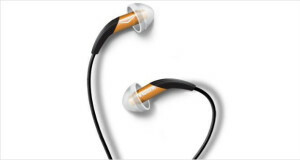 By 2011, VOXX Corporation had bought majority stake in the company and is driving it aggressively toward the prosumer and consumer market with aggressively priced quality headphones and loudspeakers. The Klipsch Mode M40 noise cancelling headphones are a perfect example of the new era focus of this brand without compromising on quality. The Mode M40 is a sleek, stunning pair of Hi-Fi headphones that looks gorgeous and delivers precision quality for the listener. 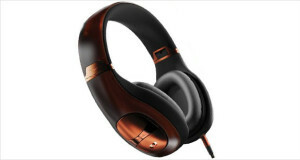 The classy pair of headphones is also ridiculously durable and comes with a leather carrying case to boot. Additionally, it folds in on itself and is perfect for the traveller who likes noise cancelling headphones.